Riot Scruffy is back with a new /Dev article reviewing the six champions released in 2016 and looking over what worked, what didn't work, and what the design team has learned heading into the new year! Continue reading for the full article and additional discussion! "The start of the new year is always a good time to reflect on work that came before, and with six champions released in 2016 there’s plenty to talk about. Thus, we thought now a good time to work through our thoughts on League’s newest additions — what worked, what didn’t work, and what lessons we’ve learned for 2017. 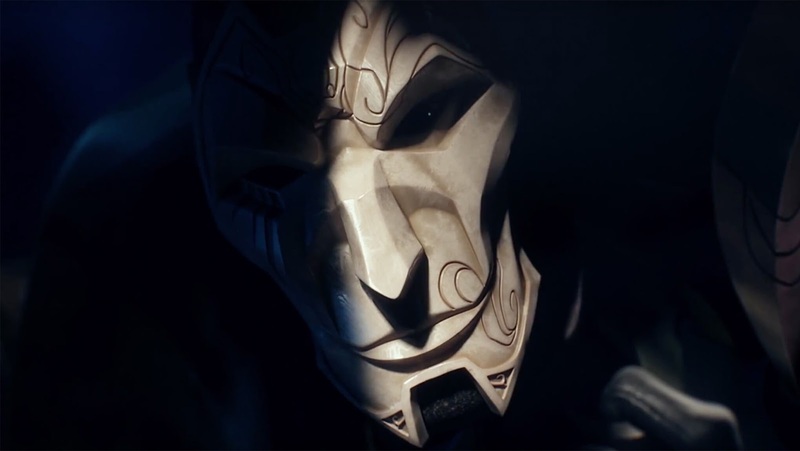 Can you believe it’s already been a year since Jhin’s release? We can’t either, but it’s definitely been a good time counting to four over and over and over (and over). His twisted personality (and voice) brings a sick kind of entertainment where you turn the Rift into beautiful “art” every game. His story tie-ins to Shen and Zed were both well-received by the community, and we think that when a new champion connects to others and helps progress their stories, it makes players look forward to finding out more. Jhin brings some pretty unique strengths to his team (crazy range spells, roots from afar) and we built these around the idea that he would have the core weakness of lower sustained damage than other marksmen with his slow attack speed. The issue is that he does have lower dps in a “target dummy” type setting, but in a real game setting the damage ends up being pretty similar to other ADCs. Marksmen have to spend a significant amount of time re-positioning between autos, which actually undercut some of the DPS loss we thought he would have. Some additional insight: During development we were able to find a really satisfying play pattern for Jhin early, but had difficulty getting him “all the way” there. We pushed ourselves to focus on Jhin’s unique value to his team, and this led to things like the long-range roots from W or the damage output at his crazy ult range. 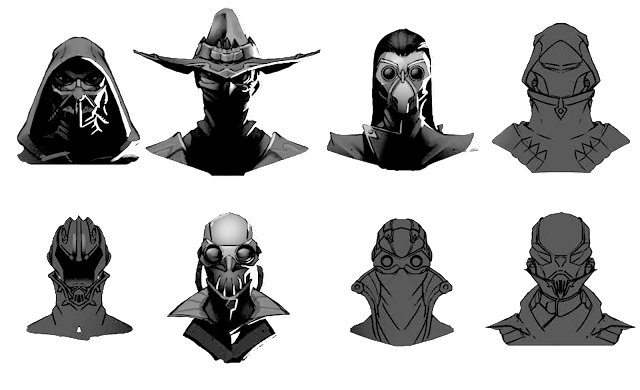 Overall, we think Jhin a good demonstration of our goal for champions to bring both visceral satisfaction and new strategies in each release. Our giant, not-so-friendly space dragon was the second release of the year. To say this one was a long time coming is a pretty big understatement. After a few reboots along the way (both thematically and in gameplay), he released in an environment with high expectations and plenty of hype (insert witty Ao Shin joke here). We’re extremely proud of the work we did on ASol’s visuals. A combination of really powerful artistic craftsmanship and considerable behind-the-scenes tech efforts contributed to what I think is one of our most visually impressive champions ever. As a nice complement, his smug and condescending personality delivers well on the expectations of a godlike space dragon. The gameplay kit for Aurelion also landed in a unique place. It’s pretty damn cool seeing him fly across the map with a giant supernova that stuns an entire team, and there’s no question about what he does differently than other champs in a similar role. Even though Asol’s gameplay is unique in a lot of ways, we missed some of our goals for this champion. The “star passive game” that he plays isn’t problematic gameplay (from a frustration or balanceability perspective), but it’s so far outside of the norm that it really only resonates with a small corner of players. The combo of difficult inputs and a slow burn payoff isn’t as immediately appealing and visceral as some other kit types. In retrospect, it’s probably better to pair cool, huge themes with more accessible gameplay. A star-crushing celestial dragon is something a lot of players probably want to play, but ASol’s style might limit his audience. 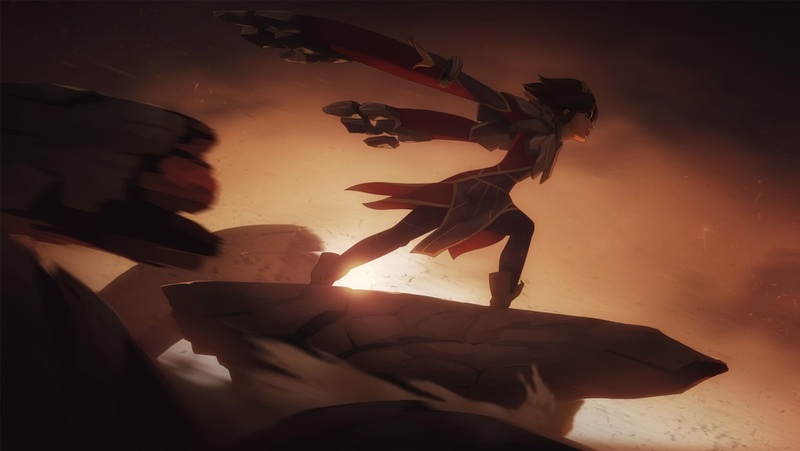 Taliyah was our next champ release, and overall was a mixed bag of results that we’re happy about, and things that we think could be improved. She brings some really unique and exciting moments to LoL that no other champ does with her giant wall and knockup combo. Lining up a perfect spell with Taliyah has immensely powerful and satisfying payoffs, and watching it happen live is just as fun. While the payoffs are great, we think we missed the mark on just how difficult it is to play Taliyah effectively. Input complexity combined with the amount of strategic thinking she requires makes what seems like a straightforward kit deceptively complex. The type of roam and cutoff plays that she excels at are significantly more powerful in coordinated play, so we will have issues with her being a dominant pro pick whenever she is strong (Azir and Kalista are similar). Her difficulty and the “pro problem” led to what I’m sure some of you felt as a balance rollercoaster after her release. After some swings up and down, she’s in a more reasonable place where a skilled player can expect to have success on Taliyah, but not necessarily run the map. 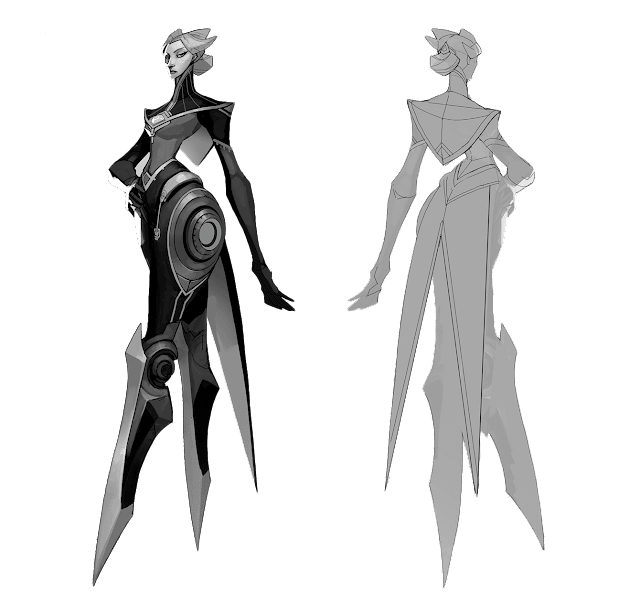 After Taliyah, we have started placing a much more scrutinizing eye on if a kit will be overly powerful in professional play, to the detriment of the average player’s enjoyment. 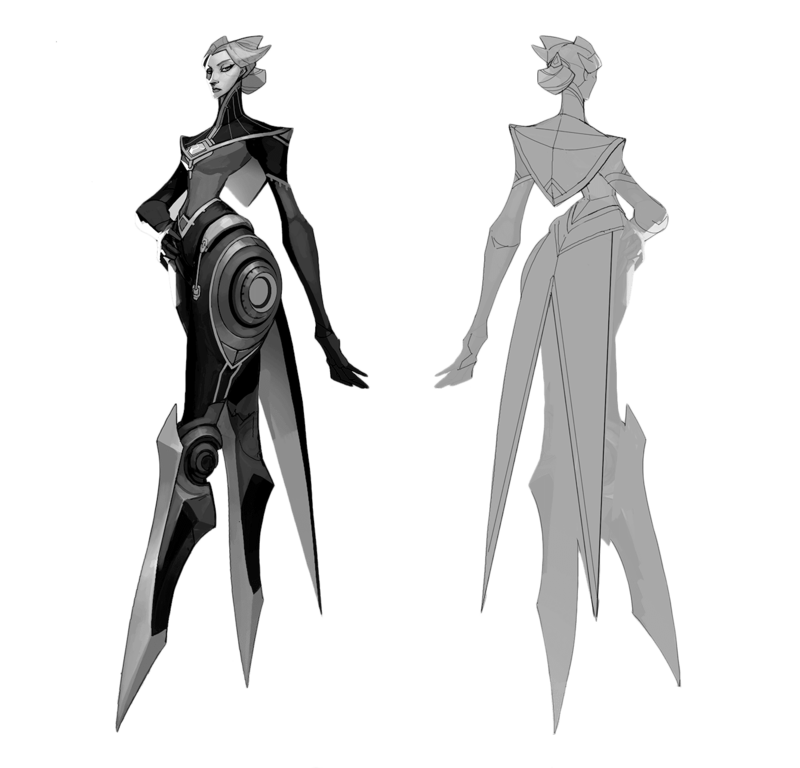 In the long-term, we want to keep looking for opportunities to improve her usability whenever we can. 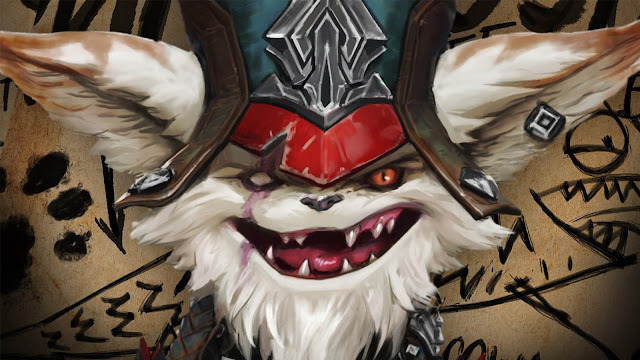 “Holy $%!# where are we?” Every game is a last stand when you’re an insane yordle like Kled. Love him or hate him, Kled has some of the craziest VO we’ve ever made and I still see his quotes pop into threads when I least expect. 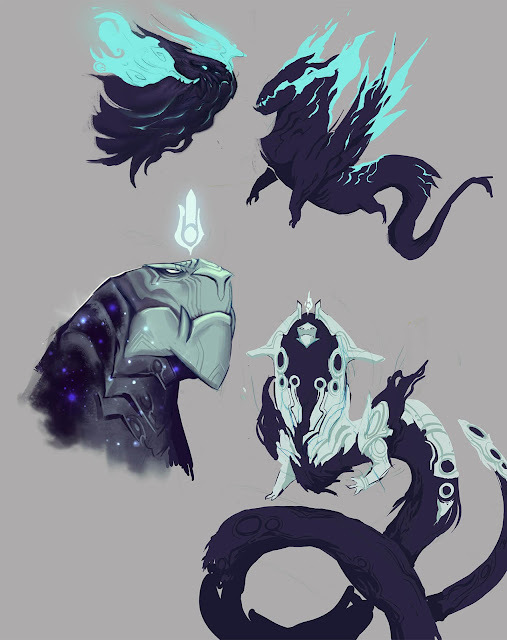 Skaarl is just so cute that you can’t help but forgive that damn critter every time it chickens out. His gameplay does a really great job of matching and enhancing the emotional experience — going HAM is the only way to stay in it. We’re also happy that Kled is more of a champ for the average LoL player, and can be fun at all skill levels. On reflection, some gameplay wishes of mine for Kled are giving him more agency when dismounted and making his skillful plays more clear. I don’t think players are playing around the window on his W as much as they could, and his Q->E combo can feel like it undermines the Bear Trap on a Rope tether counterplay. Kled is a good example of us making something that we were very personally passionate about and then learning a lot about the results afterwards. This “shoot first, ask questions later” type approach leads to a very sharp type of champion that some players love, but others will hate. We will definitely use this type of approach again, but not every time. Sometimes it’s nice to just be a “good guy.” Ivern is such a fun, happy tree that I can’t help but enjoy strolling through the jungle. I’m glad that we can mix in some fun and friendly personalities with the more serious badass ones. Just that lanky, goofy walk alone makes Ivern a good time. We wanted Ivern’s gameplay to be a long-term investment into our jungle ecosystem. His entirely new pathing and style of farming is something that we think will keep jungling fresh for hundreds of games. The sheer amount of unique things on his kit is pretty staggering (team dash, brush, jungle farm) and this is the high end of how “weird” we think we can take a new champion. This is also a great example (compared to ASol) where theme and gameplay come in a good pairing that improves both. Ivern suffered from being weak on launch, which I think made it extra hard for players to pick up his unique playstyle. We did a good job with some quick buffs to bring him up to par, and I think he’s settled into a healthy and viable spot now. 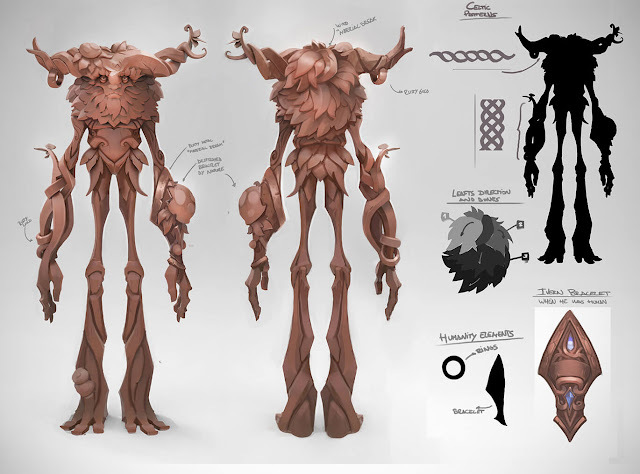 The one regret I’d say we had for Ivern was some of the Daisy bugs around launch. She’s been fixed up in the last few patches, but we should hold ourselves to a higher standard of polish, and we will continue to try and improve our pet AI over time. Big crazy concepts like the “no damage jungler” can pay off. It’s a difficult job when we commit early to something like this, but it forces us to solve for an ambitious goal instead of using our tried and true approaches to new champ creation. Our last champion of the year, Camille, was a really sharp finale to our year (huehuehue). She brings a more straightforward satisfying character and gameplay that we’re very happy with overall. The viscerality of her hookshot movement, and her “just right” amount of precision, timing, and decision making make her a skill-fueled champ that players of any skill, from Bronze to pro, can enjoy. Her sharp wit and sleek look really bring a condescending smirk to my face as I square off with a “lesser” opponent. It’s also really cool to see a mature professional showing the brats how it’s done. I was always giving a skeptical eye to the team when they insisted that they could make a champ work that only attacked with her legs, but they certainly proved me wrong. She’s on the lower end of the “strategic unique” spectrum of new champions, but I’ll still advocate (and debate Meddler) that her R is a pretty sharp counter to those dashy champs that will never sit still. Her ban rate has been pretty high in the last few weeks, and she definitely released too strong. I’m confident that as she settles into a balanced state numerically, her frustration to play against won’t be overbearing. We’ll continue to keep an eye on her power level. Clear moments of power and “break the game” type abilities are a great way to bring players to a new champion, while a skillful pattern and clear strategic uniqueness helps build the bond for the long-term. The double edge to this sword is that “break the game” abilities can generate frustration very quickly when the champ is over-tuned. Raise the bar – I feel like there are defining times in LoL champion development where the bar is permanently raised by breakthroughs in gameplay, visuals, and theme. We are pushing ourselves to re-evaluate and improve on every axis, so 2017 can be one of those times. Big surprises – Part of the magic of a brand-new champion in League is that we can do anything. As hard as it is after 130+ on the books, we think we still have a few tricks up our sleeves. Deep resonance – This speaks to our starting goals for a champion, where we are looking for the ideas and characters that League needs. Something unique or clever isn’t enough here; we want to make champions that capture the imaginations of players and hook them with new mains for life. With only six new champions a year, we want champions to connect to lots of players to make sure LoL stays fresh and exciting for everyone. Avoid the “pro problem” – I think a common issue we’ve had of the past few years with our gameplay design is the construction of overly complex or coordination-based kits that dominate the pro scene and have to be nerfed into obscurity for most normal players. We aim for low skill floor high skill ceiling, but we don’t always nail it." There's something really interesting that we've learned related to this. "Fun game 1" and "low depth champ" don't have to come together. -Not "all or nothing" mastery (something like azir where if you don't know how to use all of the skills in combination, you do almost nothing)"
I wish Riot didn't see stuff like Aurelion Sol being only "appreciated" by a small percentage as bad. I get their point but at the same time, There's +100 champs. There's room for something for everyone. At this point accesibility shouldn't be that high of a priority. Go crazy. We generally don't. Making what we would call "niche" champs is a core part of our strategy. Things that really push the boundaries of what a player would typically like are really great for the game, but almost by definition will have a small audience. Example: we think Bard is super successful even with a small audience because he's so unique." "It's less about "don't make complex kits" and more about "certain types of complexity make for characters that are impossible to pickup." Lee Sin, Yasuo, and Vayne are examples of a very good type of complexity where the basic actions they take are overall easy to understand/execute but at they same time very difficult to master. Azir and Aurelion on the other had are a scarier type of complexity (this doesn't necessarily mean they're bad) where you can't really understand how to do anything on them without playing them 20 times, which makes them very hard to even get started on."